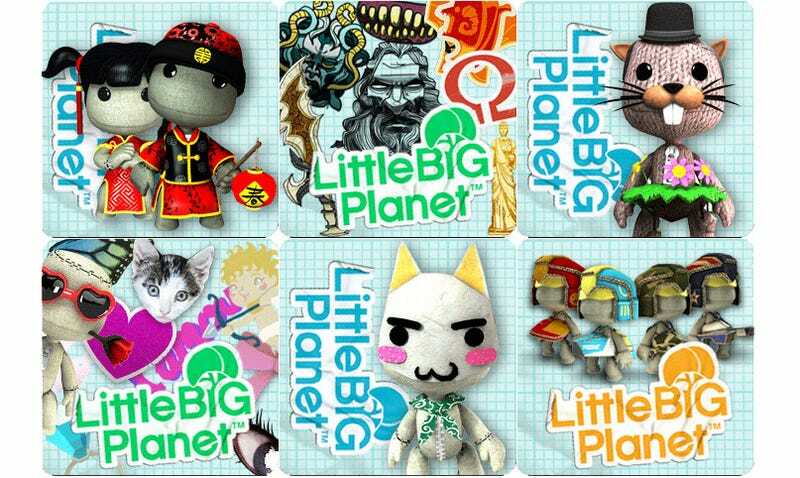 The European community site for LittleBigPlanet has been updated to reveal what's in store for the game's DLC in the coming weeks. And what's coming is mostly festive, partly in-house advertising. With Chinese New Years, Valentines Day and Groundhog Day all on the immediate horizon, the game will be celebrating with costumes for each holiday. The rest of the updates are some promo items for Sony titles, including a re-release of the Kratos costume, Ape Escape and Toro (Sony's Japanese mascot cat) outfits and, strangest of all, a WipeOut "costume kit", with four sackboys dressed in the colours of WipeOut's racing teams. They're nice and all but, uh, can we have LittleBigPlanet WipeOut cars instead? Full details and dates below.